We spoke to business owner, Daphne Metland and Executive PA, Sharon Cooke, about Content Consultants Ltd and how being based at the Nwes-managed Rouen House supports the business. Tell us more about Content Consultants Ltd. Content Consultants Ltd has certainly come a long way since I spotted a gap in the market many years ago when the internet was in its infancy. I have seen the organisation handle and translate content into a wide range of languages over the years. The highlight is the knowledge that Content Consultants Ltd is helping key health messages and information to reach audiences in low resource settings, like India, Africa and China, as well as more modernised countries like Canada, Australia, Germany and France. It began way back when the internet first came along. It was full of information of variable quality. We looked at this ‘new-fangled’ thing on our slow and noisy dial up, and realised that it could be a very good or very bad thing for both consumers and for health journalists like us. How has the business developed since you gained your first client? Our first major client was the BabyCentre, an organisation we still work closely with to this day. We have also counted the BBC, Bounty and Bupa as other major clients. It is sheer hard work and commitment that has helped us to overcome challenges to ensure we continue to meet the needs of customers. We still work closely with BabyCentre. As well as running their UK site, we have launched sites around the world. We currently manage 11 websites in 9 languages, and we also develop content for mobile phone health programmes and for Facebook’s free basics websites. How has Nwes supported your business growth? We moved into Nwes-managed Rouen House in Norwich city centre in 2011. 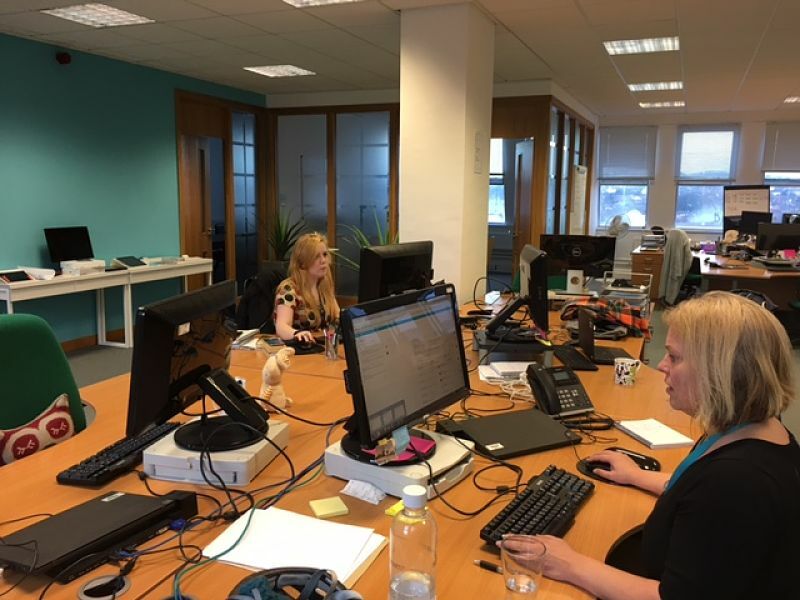 Now employing 37 people, we expanded into a second office to accommodate our growing team. Nwes has been great support with our two offices at Rouen House. The success of Content Consultants Ltd is the result of our vast subject knowledge, and employing the right staff who are 100% committed to exceeding the expectations of our clients.